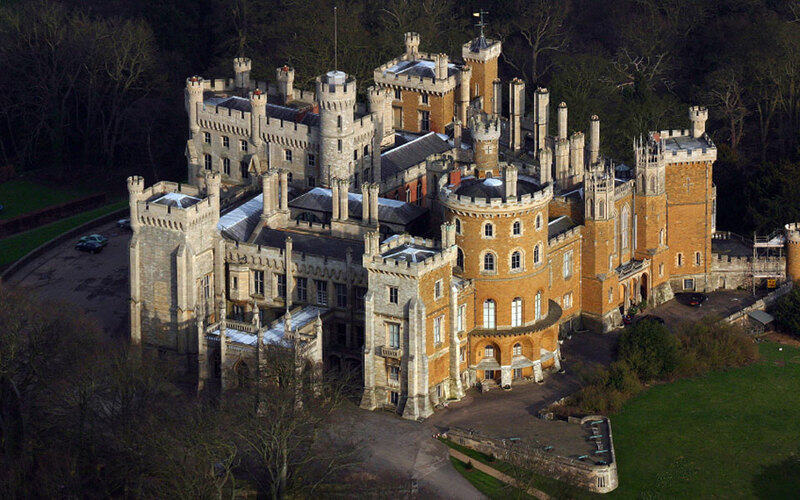 Beaver Castle is a large stately home located in the Vale of Beaver, on the borders of Leicestershire, Nottinghamshire and Lincolnshire. The castle features a stunning array of collections including military treasures, period art, tapestries and furniture. The present grade 1 listed building is the fourth building to have stood on the site since Norman times. The previous Norman castle that dated back to the English Civil was destroyed by fire soon after it had passed into the hands of the then Duke of Rutland. The current gothic style structure was created by the architect James Wyatt and was completed in 1819. Many visitors to the castle are surprised to see how the central tower shows a strong similarity to the Royal Palace of Windsor Castle. The Castle has been the home of the Manners family for over 500 years, having been passed into the hands of George Manners in 1508. The Beaver Castle Estate is around 30,000 acres in size. While James Wyatt was creating the current building the then current Duchess of Rutland (Elizabeth) decided that she would design the gardens, park and the castle grounds. The designs which were heavily influenced by visits she had taken in Italy, fit magnificently with the natural valley of Belvoir. The current Duchess of Rutland is very passionate about the gardens and is keen to keep up the strong heritage. Visitors to the garden can come experience some of the finest roses on display in the UK. The Beaver Estate is open to the public throughout the year for a wide selection of activities. Shooting and fishing remain very popular pass-times, as do the range of corporate activities such as quad biking, 4x4 driving and water sports on the lake. The Castle and Estate has been used as a backdrop for several films and TV programs. Some famous examples include Little Lord Fauntleroy, The Da Vinci Code and The Young Victoria (due for release in 2009).